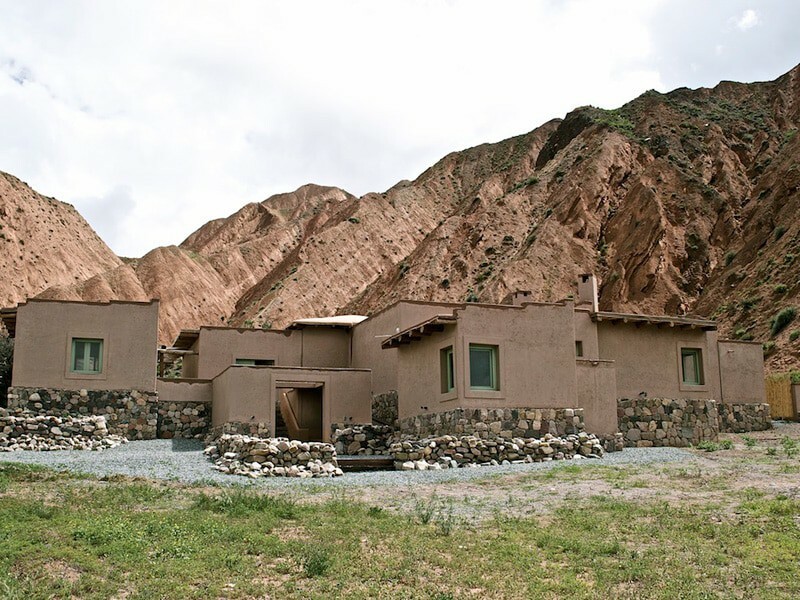 Tilcara is perhaps the liveliest little pre-colonial village along the Quebrada de Humahuaca. If you’re making this spectacular drive through some of Argentina’s most dramatic landscapes, spend the night (or a few) in Tilcara for a great town square, fun bars and restaurants, and plenty of historical and natural highlights. It’s artsy yet local, and its dusty streets are lined with handicraft stalls as well as reminders that you’re in the archaeological capital of Argentina. You can trek to caves and waterfalls or visit its museums and artisan markets. Go biking, check out a high altitude winery, see how alfajores are made, and try the regional cuisine here while you listen to some traditional music. The well-preserved pre-Inca fortifications known as the Pucará de Tilcara are perhaps the main attraction of this village. 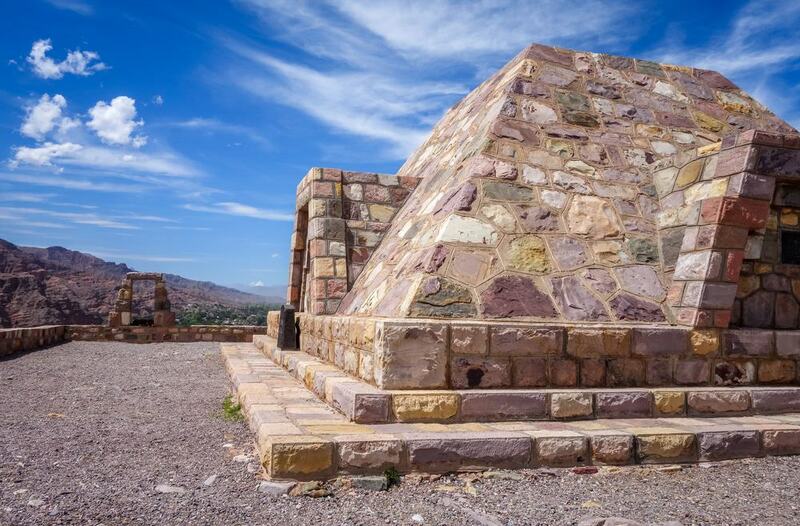 Located on the outskirts of town, you can visit this archaeological site that was originally built by the Omaguaca people, strategically situated just above the rivers and valleys for protection. The ancient natives used this settlement from the 11th to 15th centuries, and the ruins were uncovered by archaeologists and partially reconstructed. Pay a visit and you’ll get an idea of what the plaza, fortress, and temple must’ve looked like in this large and advanced community of indigenous people. Aside from the ruins, there are cacti for days, impressive views, llamas, and some pretty out-of-place modern monuments around here. If you’re into trekking, head out of town to roam around this waterfall-lined gorge and explore the rugged Quebrada landscape. Walk to the beginning of the trail from town or take a taxi to the start. It’s not a difficult outing so long as you pack water and sunscreen, though the altitude can get to some people (so you might want to stock up on coca candies). 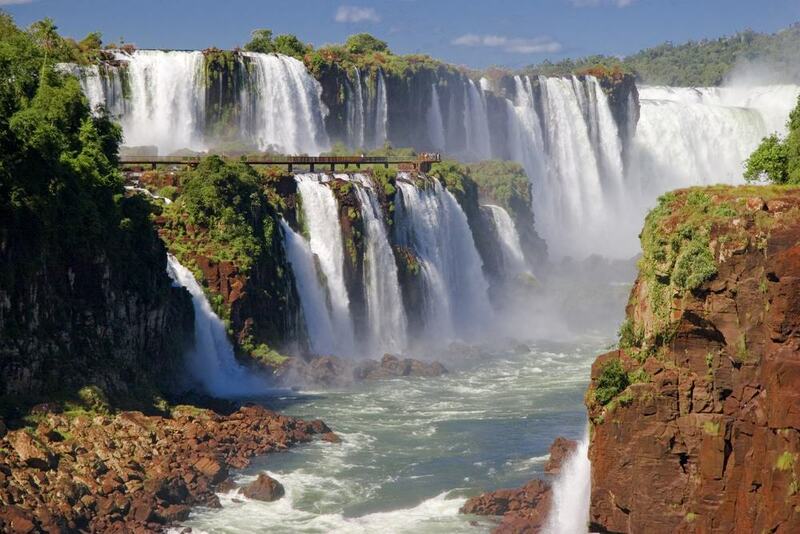 You’ll see the gorgeous red rock formations as you walk along the canyon to reach the waterfall known as La Garganta del Diablo or the Devil’s Throat. The whole trip takes about 3 hours there and back, but you’ll want to pay a few pesos and stop off for some swimming and relaxing mid-way through. 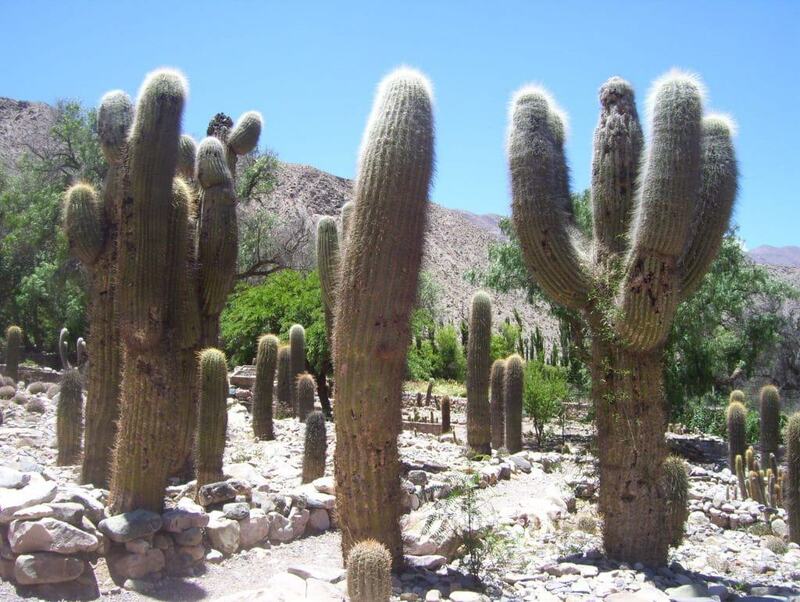 Check out this large collection of cacti just near the ruins of Pucará. It’s a unique little detour for a wander around this garden of indigenous plants. You’ll find succulents, several species and sizes of cactus plants, and other high altitude mountain vegetation capable of surviving here. The whole area is well laid out and you can take photos of the views or rest on one of the benches while your cactus-loving travel companions roam around – just remember to bring sunscreen! There’s also the piedra campana within the garden, a curious natural stone that makes a bell-like sound when you hit it. 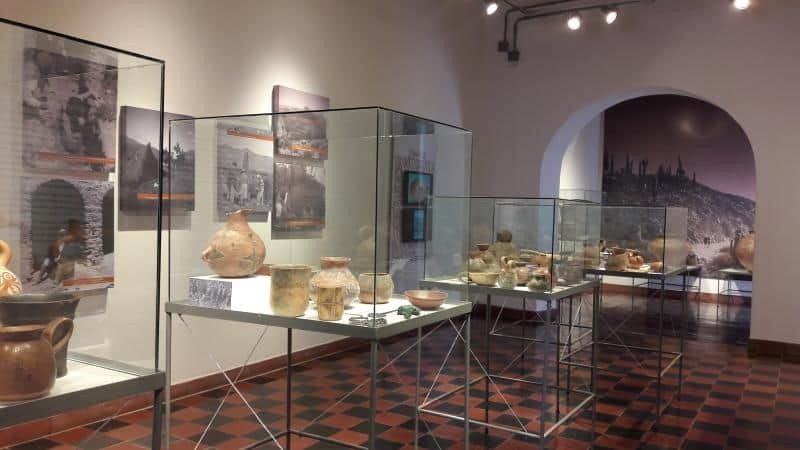 Your entry ticket to the Pucará ruins grants you access to the Museo Arqueológico in town, so you might as well stop by to learn more about what you saw out there. Located on the main plaza, you’ll find Inca artifacts, ceramics, ritual masks, and even mummies at this museum. Though it’s small and lots of the information is only in Spanish, it’s worth a look to see the unique display of deformed skulls. You’ll learn more about the Pucará settlement as well as the way of life and the culture of the pre-Hispanic peoples, and it’s filled with interesting artifacts that’ve been unearthed in the vicinity of Tilcara. This little historical landmark turned museum is a beautiful example of colonial architecture. Built in 1772, this former “post” or resting point for horses traveling along the route from Buenos Aires to Alto Peru was later used by the Argentine military during the War of Independence. It contains 19 rooms and 3 courtyards, plus a tree that dates back hundreds of years. Walk through the restored rooms and check out the artifacts and preserved remnants from the building and its days as a family home, post office, and revolutionary headquarters. A guided tour will give you a lot more background information about its multiple purposes throughout history. 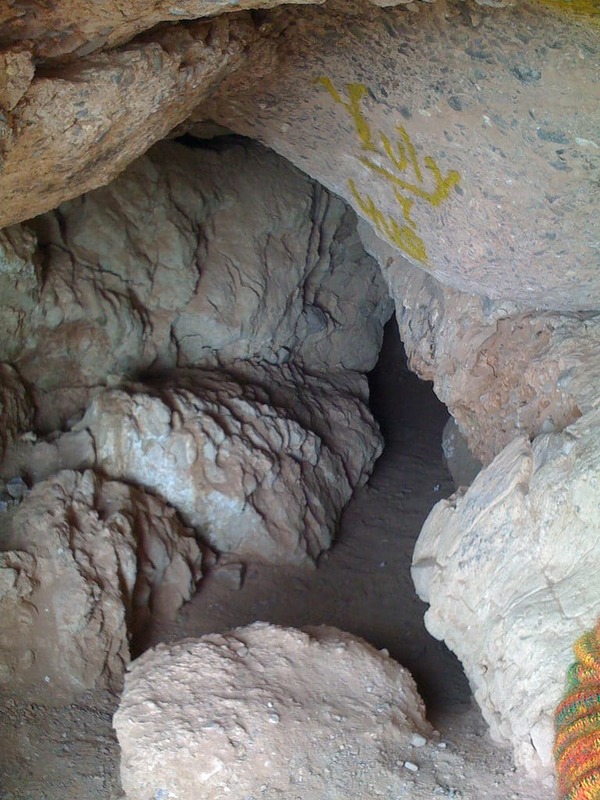 Grab a guide and go hiking to experience some unforgettable scenery and mountainside caves. No it’s not the easiest trek in the world, but you’ll be rewarded with stunning views, dark and silent caves, and trails that challenge your fear of heights. You definitely need to arrange this hike in advance (check the Tourist Office in Tilcara) and bring lots of water and sunscreen in order to reach the top. Scramble up these mountainside paths and enter two caves that were once used as hiding places during times of conflict. A guide is necessary to show you the way up and down the steep, rocky paths, plus you’ll want to hear all of the local legends and myths that surround the Waira Caves during your visit. 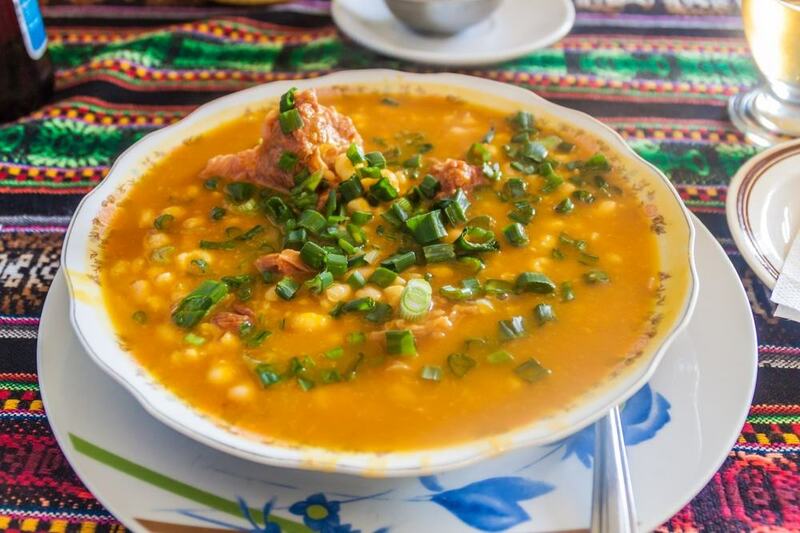 Tilcara has the best restaurant scene of all the cities along the Quebrada, so take advantage of your time here by trying the regional fare of Northern Argentina. Make sure to get your fill of empanadas, locro (a hearty stew of corn and meat), tamales, charqui (dried, salted meat), humitas (corn pudding-filled husks), and of course, llama meat. Everyone raves about El Nuevo Progreso, so check it out for some high-end twists on classics like llama carpaccio, beer braised lamb, and quinoa crepes. El Patio is great for the regional stuff in a lovely garden setting, serving up dishes like llama steaks, breaded goat cheese, and tamales. Or visit Arumi for humitas, empanadas, steak, and occasional live music. 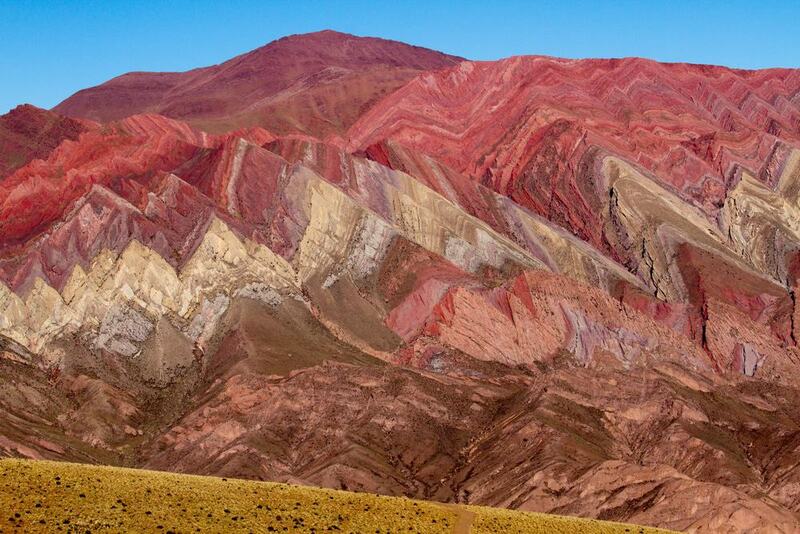 This multicolored mountainous valley and UNESCO World Heritage Site is a ridiculously vivid display by mother nature, and if you’re in Tilcara, this is probably the reason why. The Quebrada runs for nearly 100 miles (155 km) along the Río Grande and up into Bolivia, and you can take a bus tour, hire a private guide, or DIY it (roads are great and car rentals are available). Start with Purmamarca and its Cerro de los Siete Colores and then make your way along Ruta 9 as far as you like. Once part of ancient Inca trade routes, there are lots of geographic formations where you can stop off for photos. 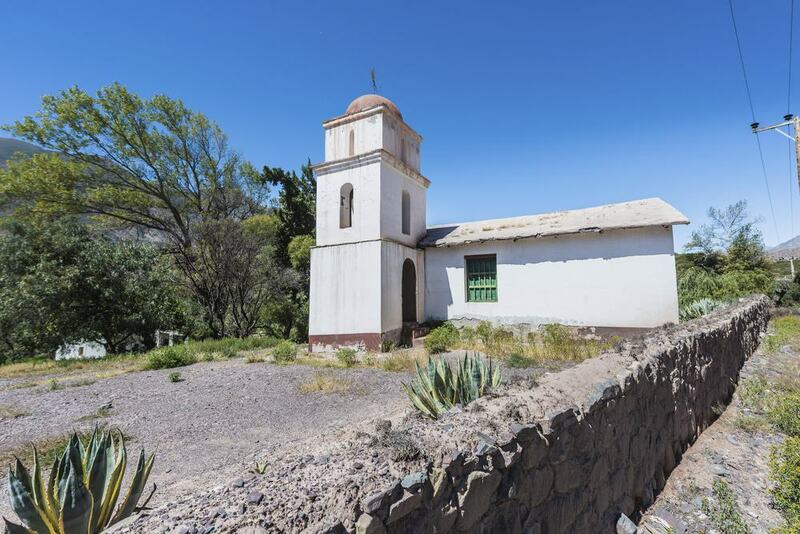 Make sure you visit the other pre-colonial towns along the Quebrada like Iruya and Humahuaca too. Filled with artisans plying their wares, musicians, street performers, restaurants, and lively bars, Plaza Prado is the heart of Tilcara. If you want to be where the action is, spend an afternoon in the picturesque square, do some souvenir shopping, and have a drink while you people watch. Find that affordable llama wool sweater you’ve been looking for at one of the many craft stalls set up here, or enjoy some regional cuisine while listening to local music in this colorful atmosphere. You could spend hours roaming the handicraft and souvenir shops, but be sure to check out the Mercado Municipal for vendors selling fresh produce, meats, baked goods, herbs, and prepared foods like fried empanadas. If you haven’t gotten the chance to watch some fun and loud traditional music played on regional instruments by local artists, then check out La Peña de Carlitos or La Peña de Chuspita while you’re in town. 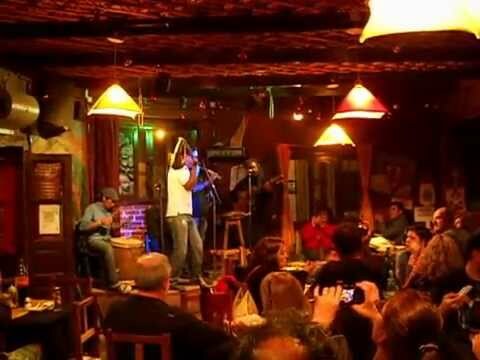 Traditionally an Argentine “peña” is a communal gathering filled with folkloric music and dancing, though many restaurants offer dinnertime shows at night for tourists who want to get in on the action. They can get rowdy, they can stick to a script, or they can become impromptu jam sessions, but whichever you choose, you’ll get to hear some regional music and storytelling. The owners of this museum decided to do something a little bit contemporary in the middle of all these pre-colonial towns. Just outside of Maimará, you’ll find a vivid and bold collection of photography displayed in a modern space created from traditional materials. Photographer Lucio Boschi tells the stories of the Andean people through his work and also features photography from over 30 local artists and occasional traveling exhibits. The Museo en Los Cerros (or just the “Mec”) is surrounded by spectacular Quebrada scenery and features a library where you can relax while flipping through their collection of photography books. Um yeah, there’s an alfajor factory in Tilcara so you’ll be doing that for sure. Go taste a few varieties of this quintessential Argentine sweet – it’s like a cookie sandwich filled with things such as dulce de leche or fruit pastes and often dipped in chocolate. 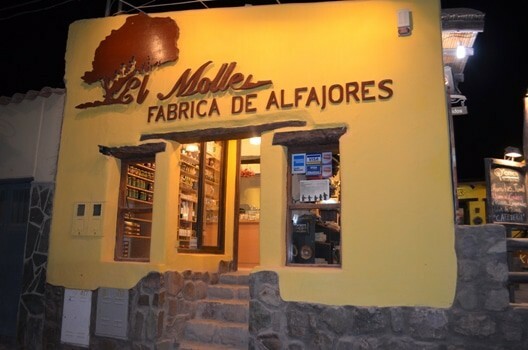 El Molle uses local ingredients in their alfajores like quinoa, purple maize, and quince (membrillo). You can visit the factory to watch them being made and then sample a few of their alfajor varieties. The shop also sells fun local things like craft beer, llama soppressata, wine, popped quinoa, and fruit chutneys. Learn all about how this boutique winery grows grapes at such high altitudes by taking a tour of their scenic estate. Located in nearby Maimará, make sure the vineyard is open before venturing out to see them – the riverbed you’ll need to cross can flood in the summertime, making the route impassable. The bodega welcomes visitors to stroll the vineyard where they produce internationally awarded wines and learn all about how these grapes are grown in an arid climate, as well as the winery’s environmentally-friendly methods of fertilization and irrigation. Your views are complemented by the adjacent lavender fields and foothills of Cerro Paleta del Pintor. The winery doesn’t produce many bottles, so tastings might not be available, but you’re welcome to buy a few bottles – their rosé is apparently amazing. For photos upon photos of cute llamas and an amazing trek into the Quebrada landscape, check out this unique and acclaimed tour company. Caravana de Llamas is a local business that’s bringing back the days when llamas were used as cargo animals. 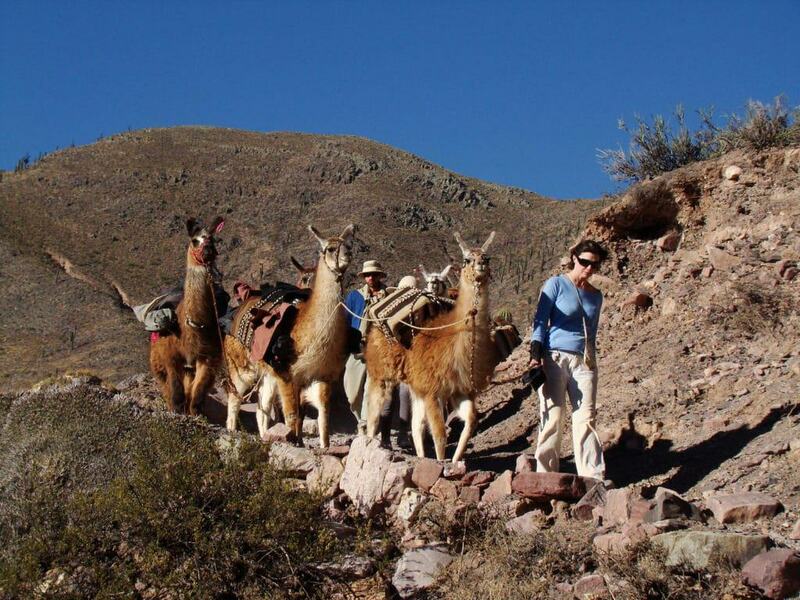 They’ll put together a llama-trekking excursion for you, whether you want to do a short hike, a half-day of walking, or even multi-day mountain treks. The fuzzy animals will haul your camping gear, bags, food, and of course, the wine you’ll be drinking during meals. Be aware that the llamas might set the pace of your hike, but you can let the company know whether you want a tough or easy journey. The best part is that your guides will cook a spread of fabulous food so you can picnic in the great outdoors while surrounded by llamas! 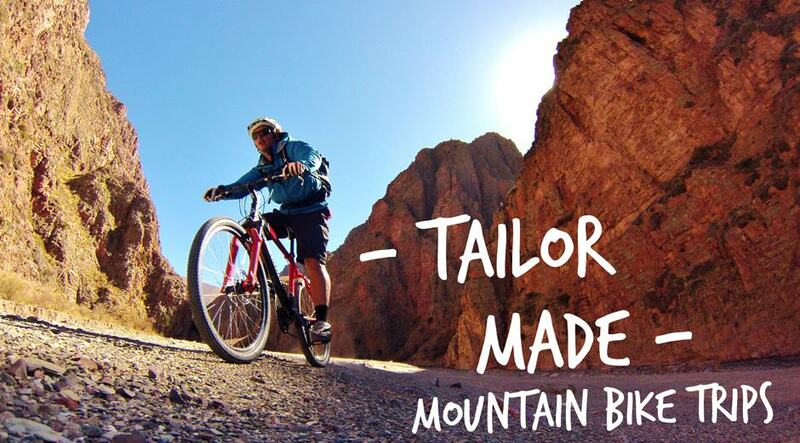 Tourists love the guide who leads these well-planned bike tours through Northern Argentina. Jujuy en Bici is the name of the tour company, and Francisco is a super knowledgeable guy who won’t lead you astray. He tailors mountain biking trips to hit all the sites you want to see in the amount of time you want to do it, and he provides all the gear. From geology to history to culture, he’ll tell you all about the lands through which you’re biking, and he’ll take you to archaeological ruins, waterfalls, and mountains, all the while arranging your meals (or preparing them himself). Anything from a half-day trip to several days on the road (with accommodation included) is sure to get you off the beaten path in the areas that surround Tilcara.